Located on the east side of China next to the famous river Shenzhen, Hong Kong shore excursions bring you to 262 large and small islands. Hong Kong was the colony of the British in 100 years and was returned to China in 1997, Hong Kong is one of the most advanced and largest economies in the world. 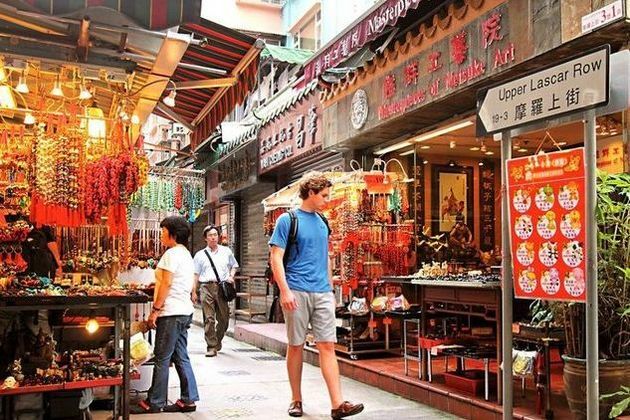 Not only highlights the economic, but Hong Kong shore excursions are also the crossroads of East-West cultural background, but this has also created a colorful Hong Kong, became one of the most famous tourist city in Asia. Visitors will be overwhelmed by the tourist destinations in Hong Kong. 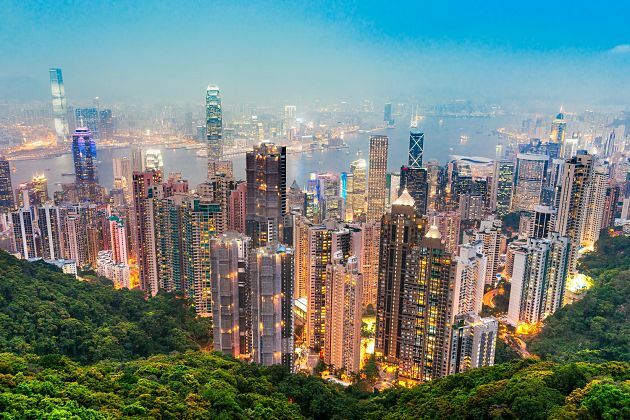 Hong Kong welcomes every visitor with a spectacular skyline and a sensory feast. Thanks to 70% of landscapes are mountains and natural parks, Hong Kong is a beautiful destination with a peaceful atmosphere. There are plenty of things to do and see on this island from losing yourself swaying along a historic double-decker tram to gazing at the magnificent Victoria Peak. 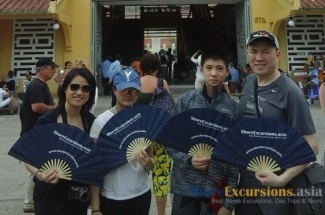 Asia Shore Excursions is offering many options for Hong Kong shore excursions. Have a look at our ready-made Hong Kong day trip itineraries, if you do not find any suitable Hong Kong sightseeing tours and day trips, please contact us and we will help you customize a unique Hong Kong shore excursion that exclusively for you. Hong Kong is well-known for lines of skyscrapers and modern technology. But that’s not all. This idiosyncratic city brings to you thrilling experiences and power up with super energy right after the moment you arrive. Hong Kong shore excursions can be the paradise for shopaholics, heaven for food lovers, and palace for luxury restaurants and bars. Landmarks are fantastic, and the skyline is breathtaking that make you can’t stop photographing. Lost in endless street markets, hop on an interesting boat ride. 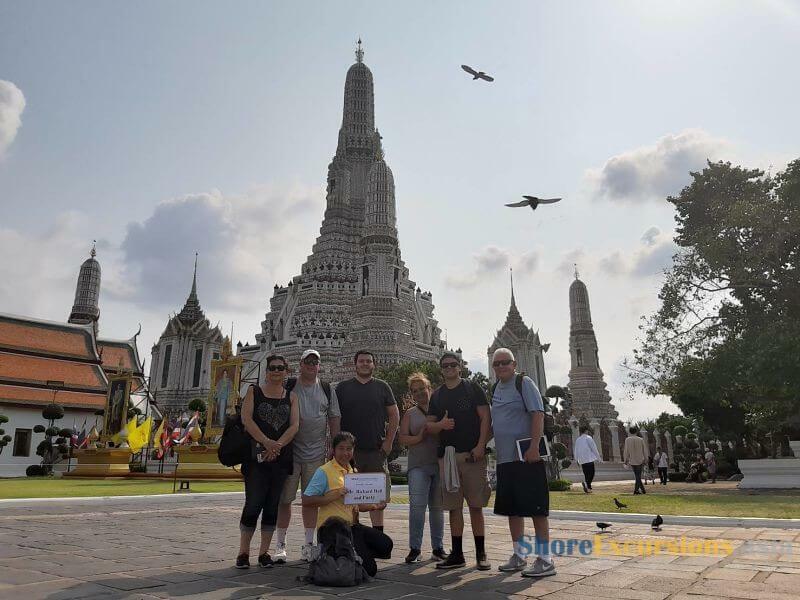 Of course, you can’t experience everything, but there are some of them you shouldn’t miss that Shore Excursions Asia would like to recommend below. There are reasons for the Victoria Peak is one of the most popular attraction that included in any Hong Kong sightseeing tour. About 1805 feet above the sea level, the peak provides a chance to catch the panoramic view of the whole Hong Kong Island. If you are luckily visiting on a clear day, majestic sight of eight mountains in Kowloon will fit in your eyes. 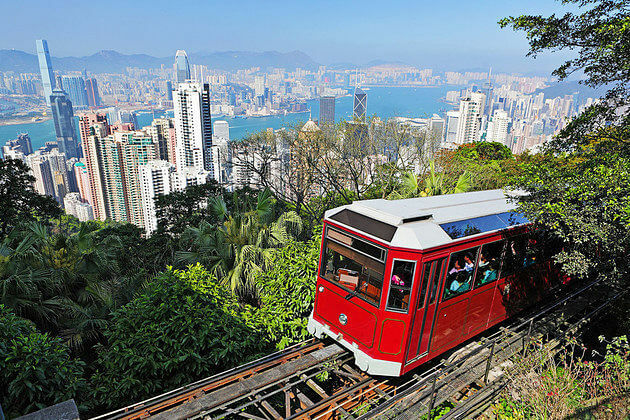 You can reach the top by patiently climbing, and then the breathtaking scenery would be your priceless reward, or just easily spend seven minutes hopping on a ride from Peak Tram - known as the steepest funicular railway in the world till now. The beautiful sights from Vitoria Peak can not only be seen during the day. At night, the lights from buildings create a picturesque flame like millions of fireflies happily jumping around. This interesting dish can be understood as “touch your heart” in English, and really nail it! Dim Sum originated served as a morning or early afternoon meal, like a traditional appetizer. 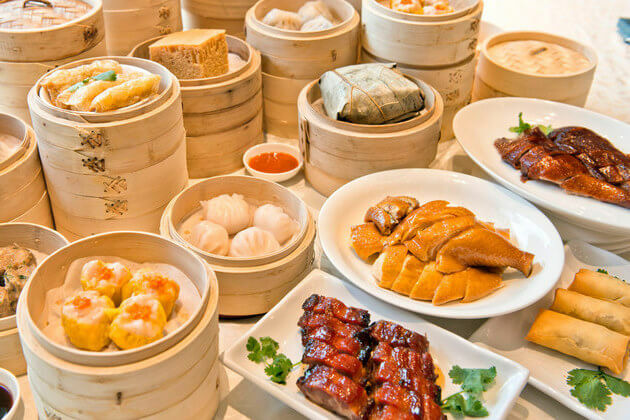 But now it is considered as an essential part of any family meal in Hong Kong shore excursions, consists of dumplings in steamer baskets or on small plates. Some restaurants serve dim sum from the pushed cart or allow to order from the menu. 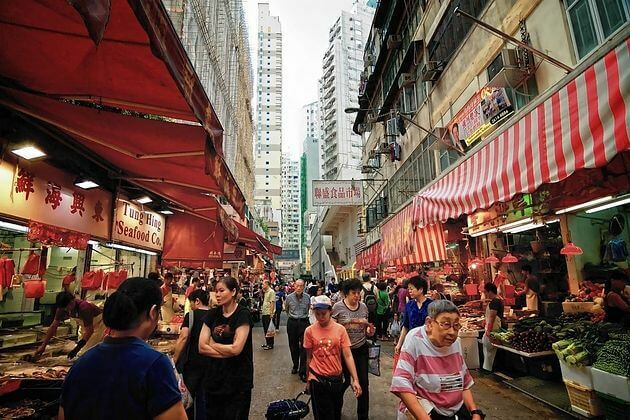 Visit Hong Kong, you can miss the chance to taste its specialties. 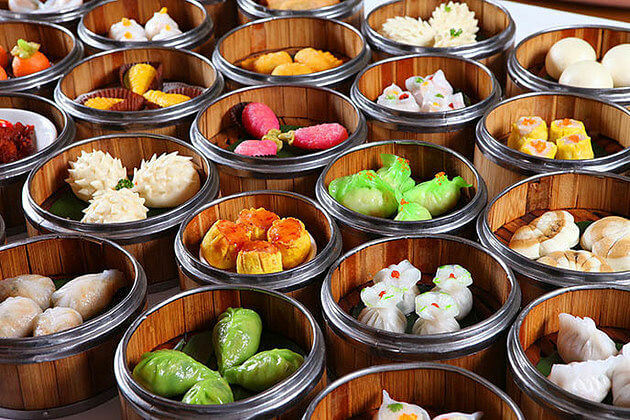 There is a plenty of options to taste dim sum, but the most famous dishes are steamed shrimp dumpling, barbecued pork bun, spare ribs, and turnip cake. You can easily find a place to sample, but choose one to worth your money. Tim Ho Wan - one of the Michelin-starred restaurants, but with a reasonable price – is a good idea. For an older flavor, try Luk Yu Tea House where you can taste the original dim sum without any improvement through series of years. If you are too familiar with huge shopping malls enclosing with the high price but few kinds of products, Hong Kong can be the heaven for you. Soak in endless street markets, you can find everything you want. The Ladies’ Market is lined up by over 100 shops of clothes and accessories, while Apliu Street Market is home to electronic households and products. For antiques, you can take a visit to the market with a lovely name – Cat Street. Fa Yuen Street is the mixture of sneakers, flowers, goldfishes, birds, jade, and also items used in the kitchen. 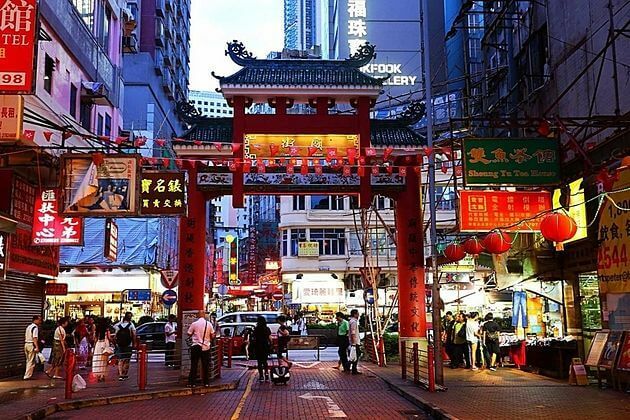 Among these markets, Temple Street Night Market is the most famous with multiple of products from noodles to watches. Hong Kong shore excursions bring you to a modern city, but it does not mean that there is no natural landmark to explore. Stretching for 31 miles, the trail crosses through 5 parks on the island which the most famous one is the Dragon’s Back. 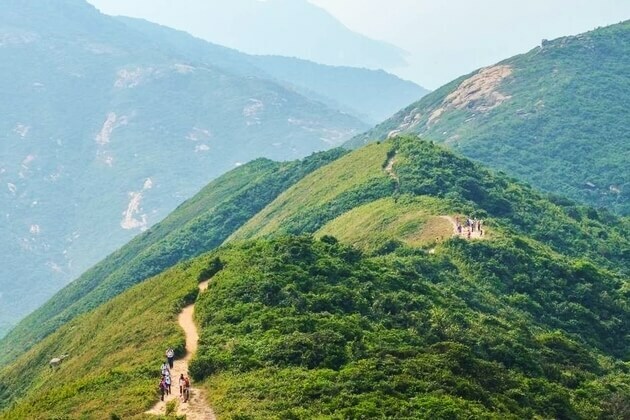 Keep hiking and then reaching the Shek O Peak where you marvel at bird-eye views of turquoise-water bay, white-sand beach, verdant countryside, waterfront communities, and far away is the epic sight of South China Sea. The hike normally takes less than two hours, but for completed experience, spend more time to start from lovely Happy Valley. 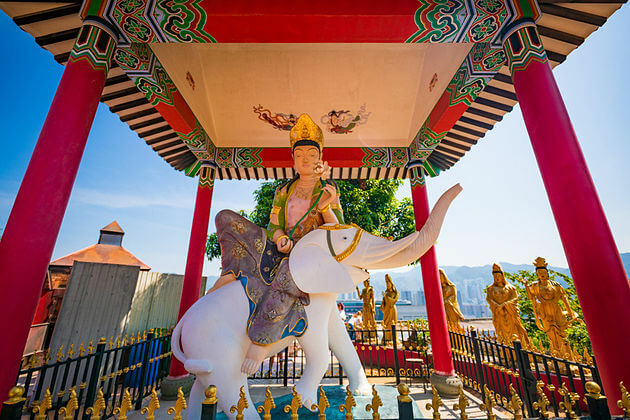 Hopping on Hong Kong shore excursions, you cannot miss a visit to ancient religious sites. Man Mo Temple - the oldest in the city – is dedicated to Taoist gods of literature and war. Believers usually come here to leave offerings and burn incense while fortune tellers highly respected in this country are sitting in front waiting for customers. If you want some flashy things, move to Ten Thousand Buddhas Monastery where 500 real-size golden Buddha statues gently sitting on the side of 400 steps that you will climb up to reach the main temple. More than its name, the temple hides 13,000 gilded ceramic statues. Hong Kong is a modern city, people here seem to escape to islands, beaches, and countryside to enjoy a peaceful life. However, you still enjoy some green space in the center of the city included in Hong Kong sightseeing tours from cruise port. 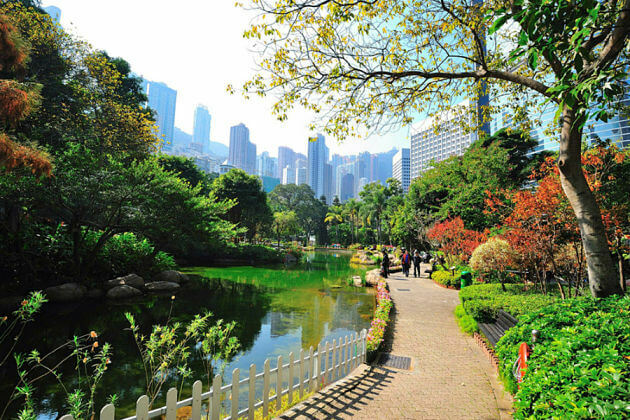 Hong Kong Park is an area mixing of scattered rocks and beautiful leafy pathways. The tranquil atmosphere is most suitable for practicing and relaxing. Besides, Victoria Park is the largest one on the whole island with recreational facilities for playing football, basketball, swimming, lawn bowling and also tennis. If you want to be lost in the feudalist space, the prettiest Nan Lian Garden is a good idea. Landing on 35,000 square meters, the garden is designed with the architecture style from Tang Dynasty. Not too far from the city center reaching in many ways including taxi, boat, or even public transportation, you now are standing on one of the most beautiful beaches in the world. 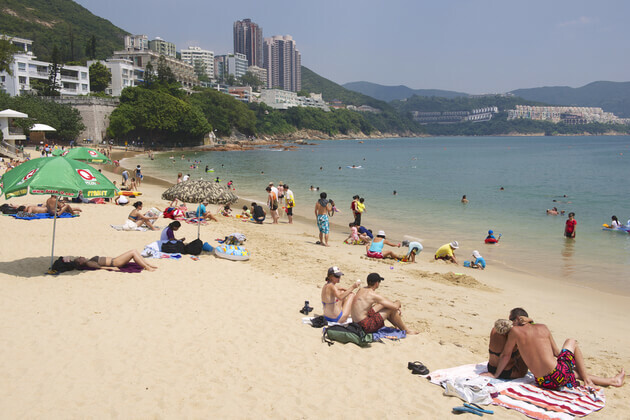 Hong Kong is home to several different kinds of beaches which can suit anyone from surfers to party. Shek O is one of the most well-known choices. Stretching by sand, the beach surrounds Repulse Bay. For a completely strange experience, head to pristine Tai Long Wan with fresh clear water and rich ecosystem. There is no reason to take a shore trip without bringing any souvenirs or gifts for family and friends. Hong Kong is a paradise for shopaholics with hundreds of shopping malls from mazelike to high-end. For one-stop shopping, head to Times Square – a giant complex including twelve floors which tell different stories. A choice of any Hong Kong shore excursion is worth your time to choose a garment that matches your favor. Surrounded by the South China Sea on all sides except its northern boundary, Hong Kong has 1,106 square kilometers is the land and 1,649 square kilometers is water of the total area. This country has a humid subtropical climate, popular weather in East Asia which is influenced by monsoon as well as the characteristic of southern China. Asian Shore Excursions always want to bring the best for the tourists with many Hong Kong Shore Excursions in the best time of this country. When? It is from October to early December providing the most pleasant weather of the year. Why? 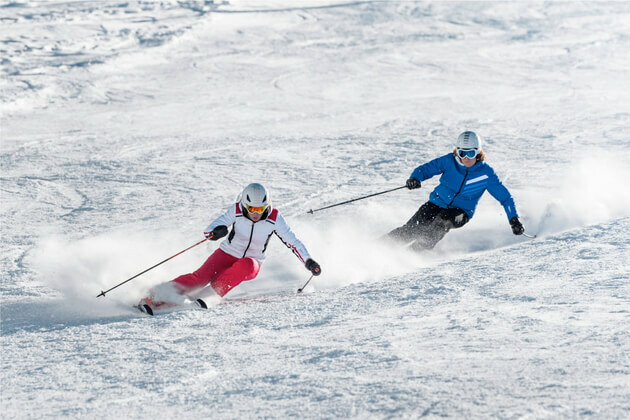 After distinguishing the difference between each season, you can easily find the answer. Summer starts from June to August. In this season, July is the hottest (30 Celsius degrees on average) and wettest (129.1 mm on average) month of the year. Therefore, in this period, the weather is quite hot and humid with the highest temperature that has ever recorded is 39°C in 2017. Tourists will feel quite hot and sticky when going out. Although this is the perfect time for outdoor excursions such as beaches, hiking, and camping in the mountain forests, this season also goes with the threat of occasional showers, thunderstorms, and typhoons which sometimes lead to flooding and landslides. Therefore, tourists should not take Hong Kong shore excursions in the summer. However, if it is absolutely necessary for you to go to this country in this time, please check the weather forecast every day and bring useful things with you such as umbrella every time you go out just in case. The weather is hard to predict! Spring is from March to May. March is the windiest month of the year with 17km/h is the average speed. This is the most unpredictable season of the year. It can be a warmly sunny day at first but just five minutes later the sky can turn black to warn a heavy rain. The only thing you can do to know about what the weather likes is just to look out the window. Moreover, it can be a litter bit cold in the evenings. This season is the cloudy season that only 100 hours of sunshine each month on average with fog and rainfall can become the problems also. However, spring is an important time for the local people here to celebrate their significant and traditional festivals such as Tam Kung and Chueng Chau Bun festivals. Winter is from Mid-December to February with the coldest month is January which has the average temperature is 17 degrees Celsius – not really cold. 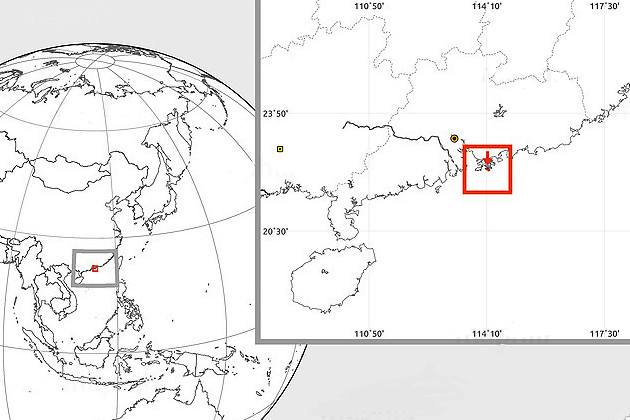 The lowest degree has ever measured in Hong Kong is – 6.0°C in Tai Mo Shan on 24 January 2016. Snow has never occurred in this country while frost happens only once or twice a year. 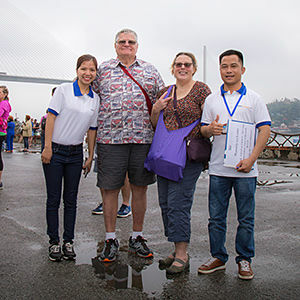 The weather in this season is cloudy with litter rain which makes more enjoyable for tourist to enjoy Hong Kong sightseeing tours with going shopping experience. However, with some people, this is a perfect time to sleep instead of wearing sweaters and going for a walk. Starting from September to Mid-December, autumn is the most predictable season of the year. Humidity is low, temperatures are warm and the sky is bright blue with slight wind blows through your skin. No disaster, no heavy rain, no changeable weather, no hot weather makes you feel sticky and no cold weather makes you feel sleepy. With the average temperatures only from 19°C to 28°C, this is such an ideal season for tourists to visit this beautiful country and to do various outdoor activities. It does have rains but the rainfall is very light and only a few rainy days, especially toward the end of the year. In this perfect season, you just need to wear T-shirts and shorts for most of the season although sweaters are needed for evenings, especially towards the end of fall. As in other countries, visitors have to hold a passport which is valid for six months from entering Hong Kong. Citizens from many countries can come to Hong Kong without a visa and stay for some fixed numbers of duration such as 7, 14, 30, 90 days. Especially, UK and Macau citizens can stay in Hong Kong for 180 days with a visa exempt. Besides, there are some countries that require a visa to visit Hong Kong but airside transiting does not require such as Southeast Asia except Thailand. Other countries have to apply for a visa both when they visit or transit by airway in Hong Kong. Hong Kong is a developing region that leads to great services and modern facilities, especially telephone are widely accessible. For more convenient, you can easily buy a prepaid SIM card to connect with the world, but first, make sure that your phone can adapt to the SIM. With it, you can access the internet via different monthly packages provided by a network service provider. Besides, another way to enter the internet is access to free Wi-Fi in most hotels, cafes, restaurants, and airport. The emergency number for both police, fire, and ambulance is 999. 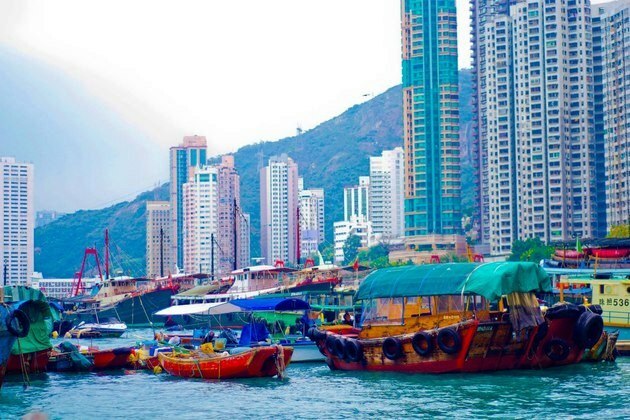 No one can believe that Hong Kong was originally an extremely fishing village with a low-estimate agriculture economy becoming one of the most developing dragons in Asia nowadays. Due to its strategic geography of a completely separate island with safe harbor, Hong Kong serves as a colony belonging to Britain during the wartime. However, this region rapidly experienced the population boom caused by Chinese immigrants leaving their home and searching for new residents to live and work. 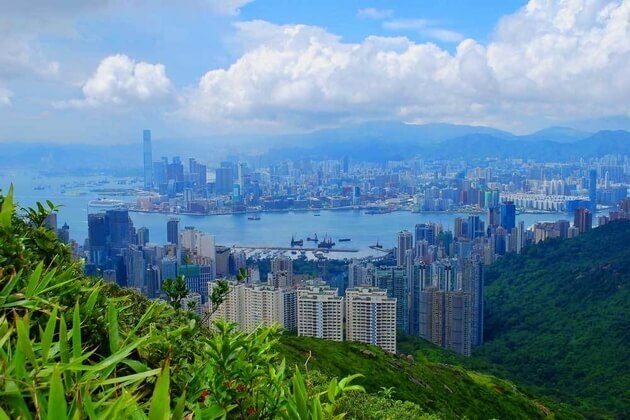 After the war, Hong Kong was recognized by the United Nations as a Special Administrative Region of China but this island has a different culture and economic level than China. In the past, Hong Kong had poor agriculture with low average income. Nowadays, this region is one of the six regions which have the largest GDP per capita. Can be considered as the most important commercial port in China, this region brightly shines like a star raising the economic strength of the whole of Asia. The development always comes with towering skyscrapers, huge financial districts, and buzzing shopping centers that cover all the sight of the city. 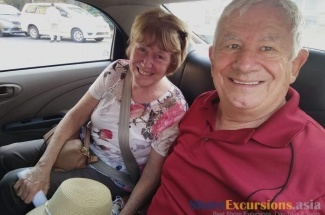 Besides, the ancient Cantonese and modern British style combine into one culture creating an interesting island which worth a shore excursion to visit. The main religion you can see in Hong Kong shore excursions is a Chinese folk religion which is the mixture of Confucianism and Taoism. The history throughout is beautifully revealed in traditional architecture and local cuisine – the perfect harmony between Cantonese and other regions of China. The most well-known dish is dim sum – a scrumptious kind of dumplings with various ingredients inside such as meatball, seafood, vegetables, chopped carrots, and so on. Due to serving as the commercial hub of not only China but also all over the world, the public transportation network in Hong Kong has to develop the same with that speed. 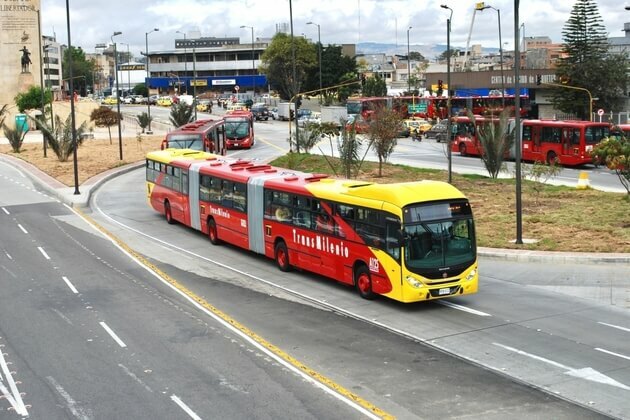 In modern streets on this island, visitors can easily approach other places by public buses and taxis which serve customers every time of the day. With visitors coming from abroad countries, taxi is the most popular and convenient transportation that most drivers can speak English. Besides, the train and tram system of Hong Kong sightseeing tours is also very developed. Moreover, in Hong Kong shore excursions, there is a mode of transportation you must try – Star Ferry which travels across Victoria Harbor between the main island and Kowloon floating village. At first sight, Hong Kong is covered with steel and glass skyscrapers. The urban style is deeply revealed in every breath of people living here. But take a closer look into Hong Kong culture, besides the Western European modern, you can see the Eastern Asian culture representing for Chinese factor in this island. Charismatic Hong Kong is seen as full of ultra-modern corporate buildings, smelled as diverse flavors of Cantonese food, and heard as the vibrant unique lifestyle. 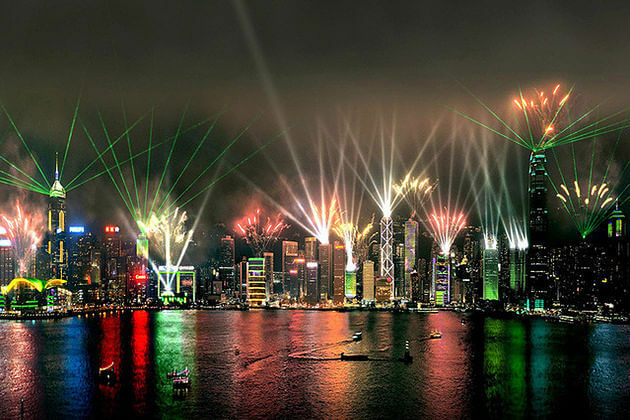 Today, Hong Kong - the Special Administrative Region of China – attracts millions of visitors each year. Therefore, Asia Shore Excursions would like to clarify some common tips for you when traveling to Hong Kong. People in Hong Kong mostly have the origin in Cantonese – the region nearby. Chinese culture is shown in their lifestyle, native language, and daily activities. Can claim that more than half of the Chinese population in Hong Kong are Cantonese and others have the origin from Hakka, Tanka and Hoklo clans which existed in Hong Kong for thousands of years. However, Chinese people living in Hong Kong have a different lifestyle with others in mainland China. They are more modern, active, and heavily influenced by British colonial time in the past. Hong Kong is such a paradise for food-lovers, especially enriched with Cantonese and Chinese cuisine. Hong Kong food is the perfect combination of Western fatty and traditional diverse-flavor Chinese cuisine. The seasonal climate has created a unique food culture with a variety of different ingredients in every time of the year depending on weather change. Spring in Hong Kong is charmed with delicious seafood such as fish, prawns, lobster, clams, oysters, and so on. Summertime is the paradise of fresh fruits and green vegetables that best suit with dieticians. If you take a Hong Kong shore excursion in autumn, most dishes you enjoy from appetizers such as soup and salad to main courses will include crabs which have a green-soft shell and giant-like size. The last season of the year, winter, is best suitable to enjoy a spicy and comfortably warm hotpot with your family. In Hong Kong, you can easily find a bed in a dorm room with 110 HKD per night. A better clean one requires a cost around 150 HKD. For a private space with one small bed in hostels, you have to pay about 250 HKD per night and the double room starts from 500 HKD. However, the expensive price always comes with advanced services such as free Wi-Fi and kitchens available in most hostels. Overnight in a hotel’s double room, the cost starts from 325 HKD. Higher level hotels start from 650 HKD. 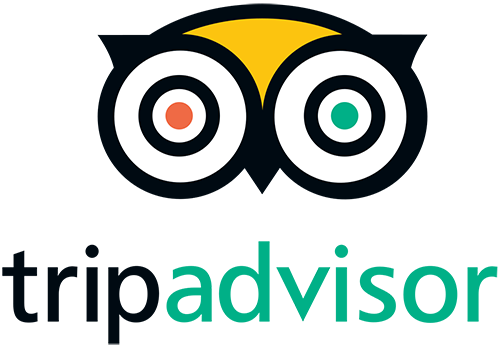 Besides, if you want something better than hostels but cannot pay for a room in hotels, search for apartment rentals on some popular websites such as Airbnb which reasonably cost 800 HKD for an entire apartment and 275 HKD for a shared room. 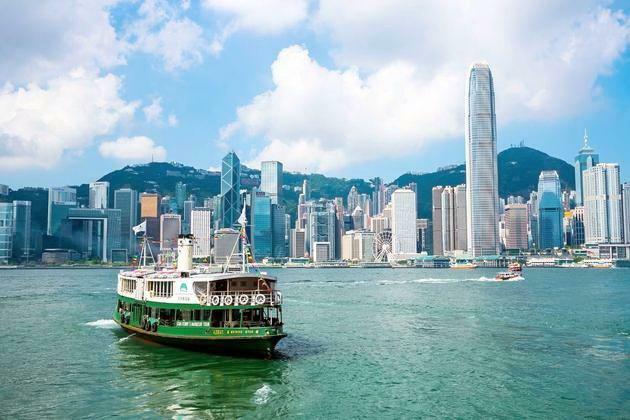 One of the must-try transportation in Hong Kong shore excursions is the Star Ferry - Victoria Harbour Cruise which transfers tourists from Hong Kong to Kowloon Island and floating village with the price of 100 HKD. Taxi fee is expensive in the daytime, but cheaper at night. Tourist travel pass fee depends on the distance starting from 7 to 23 HKD. However, a full-day travel pass price is 65 HKD which tourists have an unlimited ride on the metro, tram, and light rail service. Eat at the buffets – Food in Hong Kong is not really cheap, even with street food. You should have meals in restaurants which offer buffets that you can eat all the menu with the price of less than 110 HKD. Visit the markets – Everything you want is sold in markets with the cheapest price and freshest condition, sometimes up to 50% cheaper than the same sold in big stores. You can buy food, clothing, and even souvenirs in markets instead of spending thousands of dollars on stores and boutiques. Get a transit day pass – A day pass only cost 65 HKD and you can go everywhere you want instead of paying 7-23 HKD for each ride. Skip the taxis – Public transportation in Hong Kong is safe and convenient to choose. Taxi is not really astronomical that the hectic traffic will make your bill add up quickly.